Sounds like it could be the model of a plane but alas it is not. It’s the newest digital press in our market. 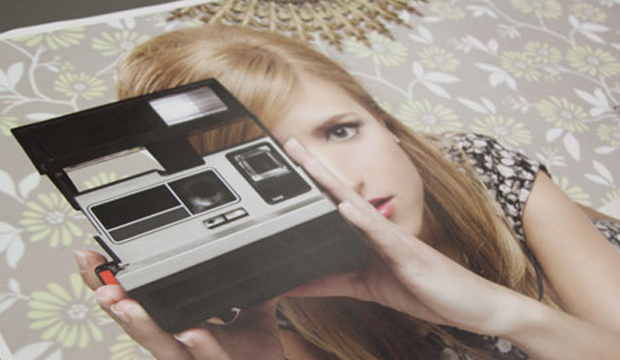 The HP Indigo 10000 outputs B2 size printing and true offset quality using a plate to blanket to paper transfer of ink. Offering short run large format jobs or bigger run digital jobs, competitive pricing, speed to market, greater variable data options and last but not least, print quality that is good enough to eat! The good news is this – you have choices, choices, choices. Between offset, Indigo, dry toner and wide format inkjet machines, there’s a press for every job, depending on your print run. At the moment, HP is the only brand that has a B2 size press on shore but there are others on the way. Also in the B2 digital club are the Truepress Jet SX (inkjet), Fujifilm makes the Jet Press 720 (inkjet), there’s a Komori B2, the Ryobi 750 which uses LED imaging and liquid toner technology and Konica Minola KM-1 (dry toner). 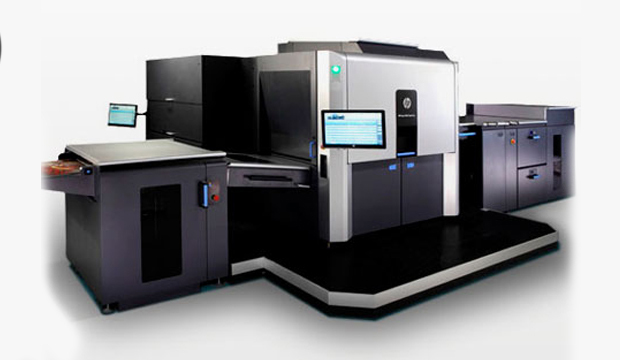 The HP Indigo 10000 is run with Electroink technology (liquid based not toner based). Up to seven ink stations offering the extended colour gamut, including HP Indigo Electroink White and other special effect inks? Contact Marcus Robinson at Currie Group for more info on this. 4, 6 or 7 process colours for vivid priting and accurate on-press Pantone emulations. The correct colour combination can be created to replicate a company’s corporate colours. Artwork can then be set-up properly with the correct breakdowns to ensure great and consistent results. Maximum sheet size – 510 x 720mm. Maximum image size – 490 x 695mm. Environmentally speaking the press incorporates new energy efficient techniques. Highest gsm you can print on is 400gsm. Sovereign A2 Digital – Gloss, Sovereign A2 Digital – Silk, Knight Digital – Indigo and Sovereign Offset – Digital Indigo all work very well on this press. The best thing to do when choosing paper is ask whether the sheet is Indigo certified and if the range has the right size for the B2 press. Prior testing for non certified sheets is always recommended and up to the printer if they’re happy to trial it. Oversized A2 posters (short or medium runs). Short print runs can be as low as 10 or as high as 1000. Landscape A4 brochures and 6 page A4 brochures (short and medium runs). Presentation folders (personalised, short or medium runs). Unique packaging up to A2+ flat size (personalised, short or medium runs). Perfect bound annual reports and product catalogues (short or medium runs). Personalised direct mail with variable data printing. Short run point of sale posters. Gang printing (executed more economically). You can fit more artwork up on the sheet in general so the job becomes more economical. Let’s say you you’re printing 900 posters with six or seven kinds in the mix, there’s no plate set-up like you need in offset printing. 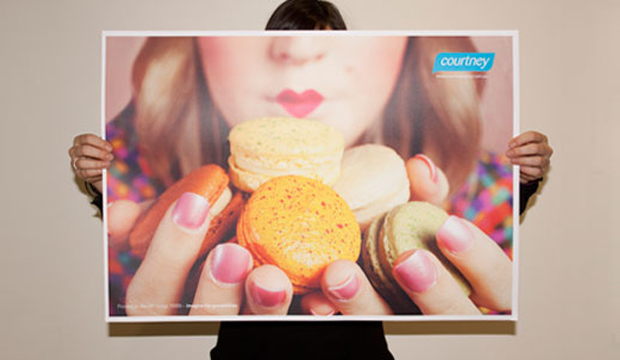 Reducing posters from A1 to A2 size saves money without compromising too much size wise. Producing an A3 saddle stitched book by taking an A2 size print and folding it down. This idea has been used a lot for self-promotional work to produce a memorable piece for a good price. You can condense an A4 sales brochure to 6pp from 8pp which reduces printing costs if the quantity you’re producing is approximately 2000 copies. If it’s more than that, there is no benefit by condensing the page numbers. With point of sale items like shelf wobblers, you can produce much larger quantities as you can get more up on the sheet, depending of course on the size of the artwork. The machine can produce a big run eg 20000+ units for a much more cost effective price than possible in the past. You can use 20+ variable data fields for one job, making something like a direct mail piece even more personalised. 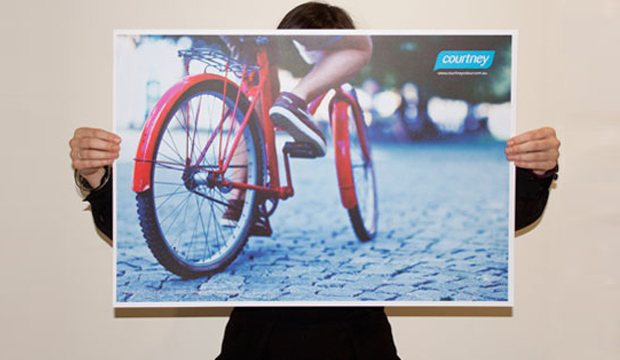 A retail store that has over 500 shops Australia wide A2 posters using variable data. Each store had its own VIP event so details like date, time etc were different for each and all were printed in the same run. 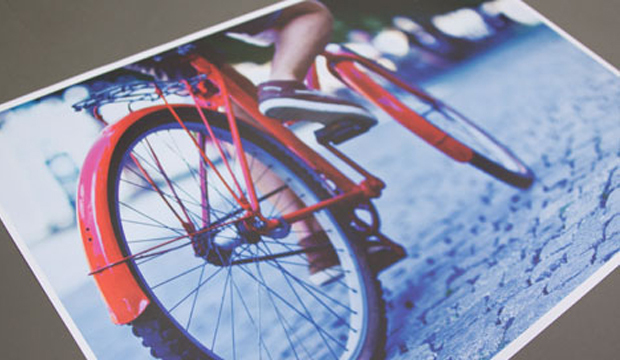 The stand-out of this press is the print quality which is not compromised with the larger sheet size. We’ve only just started to see what this machine is capable of. 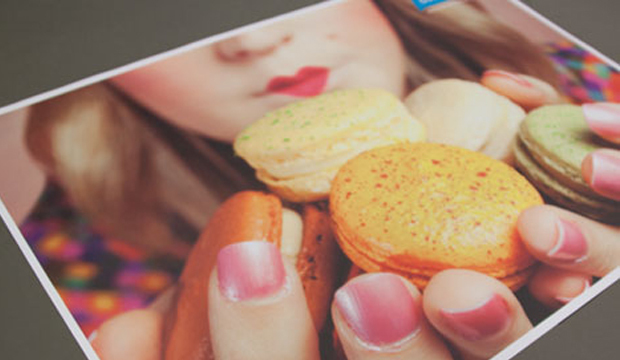 Looks like the future for digital printing just got to be a whole lot tastier! A big thanks to Goran Trakilovic from Courtney Colour to pull this article together, as well as running out some test sheets for us. Also thanks to Currie Group (the local supplier of the press) for their assistance. FYI, Bambra Press (VIC) also own a HP Indigo 10000 press.